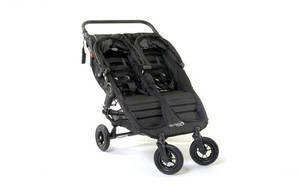 Snapshot: The Baby Jogger City Mini GT Double is a side-by-side stroller. But how safe and easy to use is it? Failed one major safety test: the stroller tipped over backwards when both seats were fully loaded. Fiddly to engage the 4 manual locking devices under the seats (and easy to forget or ignore to engage them). Bulky and very heavy when folded.